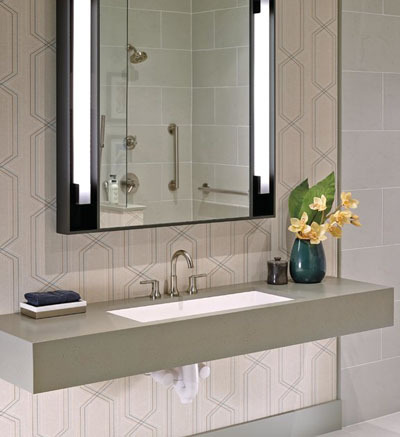 Featuring Euromotion Diamond Valve, this lavatory faucet comes with a ceramic disc and a diamond-embedded disc. This design allows for a lifetime of smooth operation without the need of lubrication. The Diamond Seal technology provides tough diamond coating to the valve, it makes this faucet can last up to 5 million uses. The company is committed to work with EPA WaterSense program, it’s a program to encourage efficient use of water while actively protecting the future of water supply. This faucet has a maximum of 1.5gpm flowrate at 60 PSI. 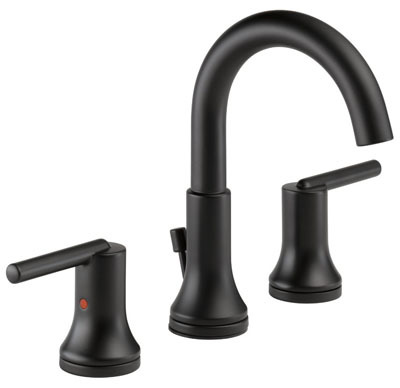 Delta Trinsic 3559 Bathroom Faucet is designed with three-hole installation, the lever handle features red or blue marking for hot and cold identification, it also includes metal pop-up drain. You need a minimum of 2-1/2-inch clearance to the backsplash. 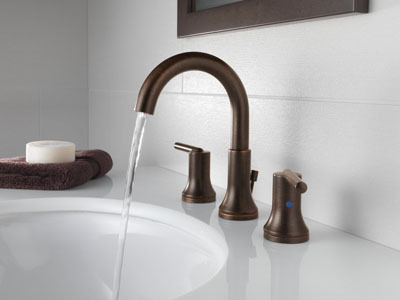 Where to buy Delta Trinsic 3559-MPU-DST Widespread Bathroom Faucet?